Find free classified ads for For rent for sale and to buy in Lincoln. Shown below are classifieds for For rent. Please use search box above to find other items in For rent Lincoln or look at the Lincoln for neighboring places in the locality. Rent A Royal Westmoreland / Sandy Lane villas At An Affordable Price! At Rent A Barbados Villa, we offer a wide range of luxury villas and apartments available to rent in Barbados. Our holiday rentals range from 1 and 2 bedroom villas on the beach to 9 and 10 bedroom Sandy Lane villas. Business Specialities: Royal Westmoreland villas to rent Royal Westmoreland villa rentals Sandy lane villa rentals We aim to deliver first class customer service throughout the booking process, from sending same day quotes to organising car hire and airport transfers for you. My Online Agent is one of the reliable names that will help you to get a tenant suitable for your house. The variety of packages offered by them will make your task much easier and affordable. For anyone seeking for a reliable online lettings partner, this is the name that can help to get a tenant. Space for hire in a city centre location, Dixon Way off Dixon Street, LN6 7DG. This is a large space available for private hire at competitive rates. Phil will be happy to hear from any interested parties as the studio is suitable for a variety of purposes. Call for more details 01522 522 525..
A luxury well maintained and well kept caravan, Fully Equipped - Kitchen, Lounge, 3 Bedrooms - 1 Double, 2 Twin, Situated at Newton Hall Caravan Centre, Staining - approx 2 miles from Blackpool Centre. Facilities on Site: Shop, Cafe/Coffee shop, Fish & Chip Shop, Amusement Arcade, Newly built licenced Club with seperate room providing Children's entertainment, Indoor Heated Swimming Pool with newly installed Jacuzzi and Steamroom, Licenced Indoor Bowling Centre, Newly installed Astroturf Football Pitch, Fishing Lake, Childrens Play Area. 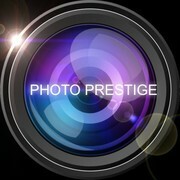 PhotoPrestige. We are looking for a space to set up a temporary photohraphic studio, as the business is only growing now. The size we are after has to be minimum 3X5 meters. We would only use to space few times a month, then most likely more as we get more orders. Please, contact us if you have anything to offer. Working, tidy family looking for 3-4 bedrooms house in Lincoln city centre or near to train or bus station(with furniture or without)if possible with 2 toilets. We looking house only from private persons. We will review various options.Thanks. Mob. : 07935809044. United Kingdom free classified ads for For rent, Lincoln, For rent free ads Lincoln, For rent for sale Lincoln, For rent to buy in Lincoln. This page is a listing of classified ads for For rent category in Lincoln. This section includes classifieds for sale and to buy in Lincoln. For rent Lincoln ads Lincoln, For rent classifieds Lincoln, For rent free ads Lincoln, ads for sale Lincoln, ads to buy Lincoln, FREEADS in UK. Find here ads for sale, to buy and rent in Lincoln. Goods for sale in Lincoln, vehicles for sale in Lincoln, Lincoln real estate for sale, Lincoln property for sale, property for rent in Lincoln, business ads in Lincoln, Lincoln business classifieds, services in Lincoln, Lincoln services ads, jobs in Lincoln, pets for sale in Lincoln, Lincoln dating, Lincoln cars for sale.